Facts or myths about the brain? Check your knowledge after March for Science! On April 22nd scientists around the world went out of their university labs and offices and joined the March for Science. They marched to show society how important evidence-based research is. I joined the March in Amsterdam. As a young brain-researcher I would like to raise people’s awareness about popular fake information about brain that many people consider to be true. I decided raise awareness about brain facts and myths, because according to the international report (Howard-Jones, 2014) many teachers believe in neuro-myths and that may negatively influence the way they teach students at schools, or even at universities… For that reason, I prepared a short quiz about the brain for the March for Science. I shared it with the March attendees. Here you can learn more about popular neuro-myths and re-take the quiz! Did you select your answers? Now you can check them: Only statement 3,7 and 10 were correct! All other statements are neuro-myths – popular fake believes about the brain. How many correct answers did you have? 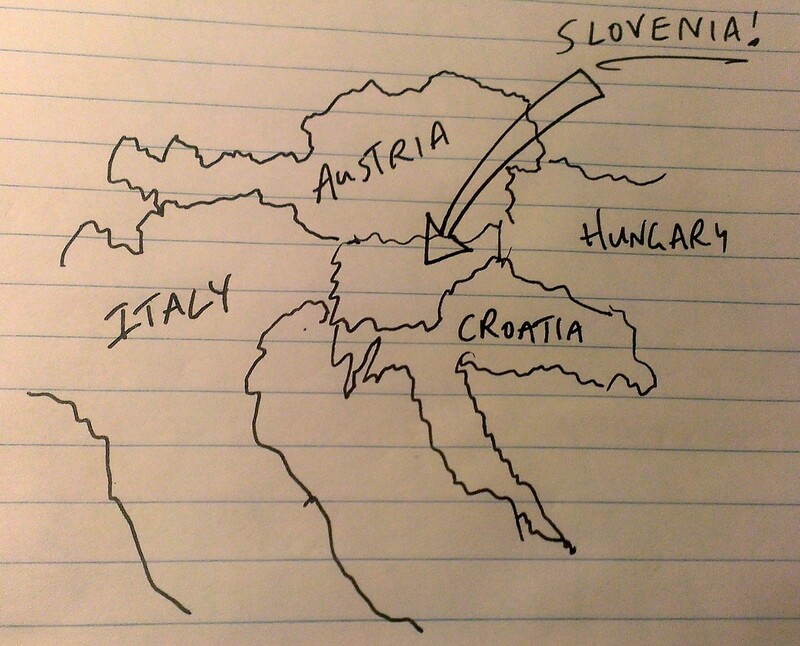 Are you curious how many teachers from different countries mistook brain-myths as brain-facts? In 2014 Paul Howard-Jones published his report about neuromyths among teachers from the UK, the Netherladnds, Turkey, Greece, and China in Nature Reviews Neuroscience. Recently, together with my colleauge, Krzysztof Cipora, we replicated the findings from Paul Howerd-Jones in Poland among a group of teachers, as well as undergraduates, high school students and adult readers of a popular-science Polish online portal (Badania.net). Despite different countries, the most popular neuromyths are number (2), (3), and (4). Below, you can find detailed information about the percentage of people who agreed with false statement about the brain. Perhaps you’re wondering now “Well, I’m not a neuroscientist… does it matter at all if I believe in myths of facts about brain?”. Yes, it does matter. For example, if you’re a teacher or a student your misbeliefs about brain may affect the way you’re teaching or learning. Moreover, you could save a lot of time and money by not spending them on “brain-trainings” like Lumosity that may actually NOT train your brain according to the research. Take action and march for science! As a (young) scientist I feel responsible for good quality of science communication and science popularization. I personally think that our scientific research findings should be shared with society in a way more accessible manner to lay audiences. Perfect opportunities for that are science blogging (like the Socializing Science blog), popular-science presentations (e.g. TED), and popular-science books (e.g., see Kijken in het brein – book in Dutch about brain). I hope that thanks to scientists’ involvement in science popularization, we could limit the misbeliefs about science, for example in myths about brain. That is why we should take action and march together, march for science! Ewa Międzobrodzka is a psychologist and a PhD candidate at the Department of Communication Science at the Vrije Universiteit Amsterdam. In her PhD project she investigates possible effects of violent video games on social and cognitive skills of adolescents. Her passion is neuroscience and science popularization. As I have experienced quite a few emotional highs and lows since the start of my project, I have been looking everywhere for advice on how to cope with these PhD-related emotions. Over the years, I have talked to many people about it, participated in a variety of workshops and courses (such as the course “PhD Success and Personal Efficacy”, and workshops like “increase your confidence as a researcher” and “happiness booster”), and read quite a lot about it on the Internet and social media. Ask yourself: Does obtaining a PhD degree make you a (morally) better person? Does a degree define you as a person? If you said yes to these questions, you either put too much pressure on yourself, or you don’t really struggle with these emotions as you are very motivated to devote your time to your PhD (which is awesome of course, as long as it makes you happy!). If you said no to these questions, you should probably not be working on your PhD 24/7, and you certainly should not feel guilty about mindlessly watching television at night after a day at the office, or devoting time to other activities that are important to you. Stop comparing yourself to other PhD students. No PhD project is the same, and every PhD student is different in terms of ambitions, norms, skills, and productivity. If your office roommate often works at night and appears to eat, sleep, and breathe his/her research, that does not mean you have to do the same. Every PhD student has his/her own ways to be most productive. For example, I write best when I’m in the office with a little noise around me, while one of my roommates needs absolute silence and writes best in isolation. You can try out different things (including the things that work for PhD students around you), but try to find the way that works best for you. I personally find it difficult to read without getting distracted. My roommate suggested that I set a timer for 20 minutes, and stick with my reading for that 20 minutes (regardless of how much I actually read in that period). After 20 minutes, I give myself a 5-minute break and start a next cycle of 20 minutes. I have found that it’s now easier for me to accept distracting (and often unimportant) thoughts and basically say to them: “That’s okay, but I’ll get back to you in max. 20 minutes”. It has become easier to let it go, and the really important thoughts will pop back up after the 20 minutes. Since I use this method, reading has become much less of a hurdle. This also works for writing: instead of putting “finish dissertation” on your to-do list, try to break it up into little chunks (e.g., “Today, I will write the outline for my first chapter”). Achieving these smaller goals will make you feel good about yourself, and makes writing your dissertation a much more manageable task. Reward yourself and celebrate your successes! Positive emotions are important to build resilience for coping with future periods of negative emotion and consequently for emotional well-being (according to the Broaden-and-build theory; Fredrickson, 1998; 2001). Thus, it is important to allow yourself some time to experience these positive emotions instead of rushing through them. Take some time to enjoy your achievements! Celebrate the big things, but do not forget to celebrate the little things as well! Did you write an awesome paragraph, or a great blog post? Reward yourself! If you do not know how to celebrate, then think about what makes you happy, and do that whenever you have something to celebrate! (It does not have to be big – 5 minutes of social media time can also be rewarding ;-)) Did you achieve something big? Then celebrate this big times!! Even though a PhD project may, at times, make you feel very lonely, know that you are not the only one who experiences these emotions. Many PhD students are surprised to learn that the Imposter syndrome – the feeling that you don’t belong here because everyone else is doing better than you – is very common among PhD students. Other PhD students at times also have trouble finding their motivation or to keep themselves from procrastinating. If you talk to people about it, or search for it online, you will find a wealth of information and tools to help you through the project. Experiencing these kinds of emotions as a PhD student is not strange. Even the most motivated PhD students (and professors as well!) have to deal with setbacks. It is part of the process. Remember, that you can do this! 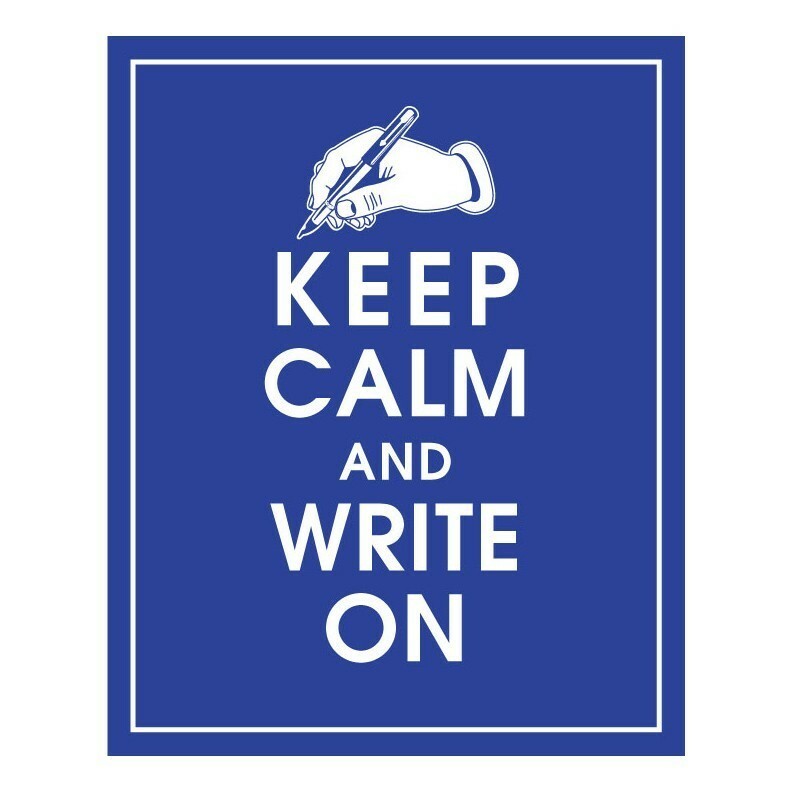 Just keep calm and write on (but take it one paragraph at a time ;-)). Fredrickson, B.L. (1998). What good are positive emotions? Review of general Psychology, 2(3), 300-319. Fredrickson, B.L. (2001). The role of positive emotions in positive psychology: The Broaden-and-Build theory of positive emotions. American Psychologist, 56(3), 218-226. Workshop by Robert Haringsma of the IVPP (Instituut voor Positieve Psychologie; Institute for Positive Psychology), organized by the Graduate Platform of Social Sciences in January 2013. Workshop by Matthijs Steeneveld during the 2012 PhD Day organized by ProVU. 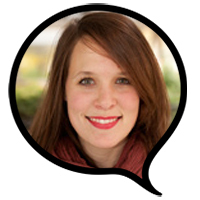 Marloes Spekman works as a PhD candidate within the SELEMCA project. The SELEMCA project focuses on the use of technology, such as robots and virtual agents, in the health care domain. Within the project, Marloes specifically focuses on how people’s prior emotions affect their perceptions of healthcare robots.